Summers are full of events, outdoor activities and long weekends. Batiste is a quick and convenient way to give your hair the boost it needs! 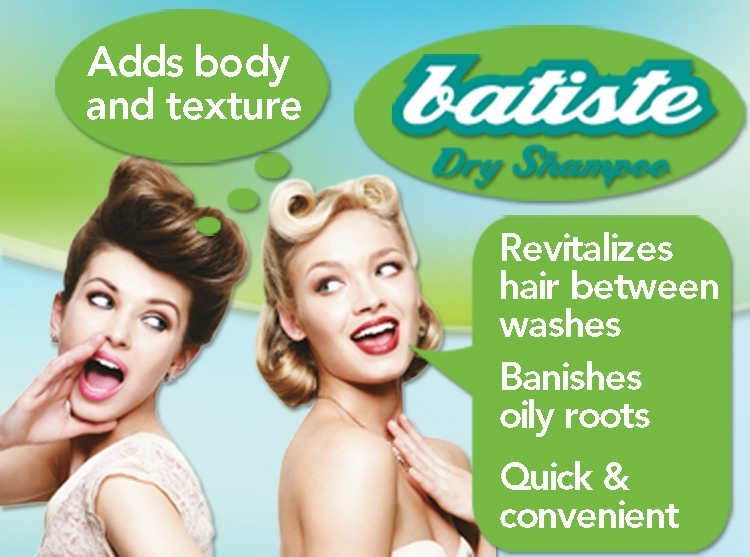 Batiste banishes oily roots and revitalizes greasy, dull & lifeless hair between washes, without water. Most dry shampoos are made with corn starch - but not Batiste! It's made with rice starch, which is lighter on your hair so it won't weigh it down or leave a heavy residue! It can also be used to add volume to fine hair. 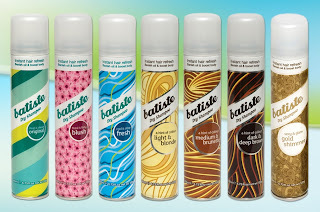 Give Batiste a try when you're running late, camping, or just because you want to! Mini or travel size is 1.6 oz and retails for about $3.99. Perfect for purse or gym bag! What makes it better than other dry shampoos? *Rice starch! Other dry shampoos use cornstarch. Rice starch is lighter n your hair so it wont weigh it down or leave a heavy residue. *A super strong propellant that gives you a burst of freshness and lifts your hair. *A variety of scents! Light and clean, they make your hair smell great! Try Original, Blush, Fresh, Wild, Cherry. Look for trendy new scents all the time! *A variety of colors! Batiste blends your hair at the roots as it grows out. Batiste can help extend the time between hair color touch ups as well. Look for Light and Blonde, Medium and Brunette and Dark and Deep brown. Coming soon, they will offer Vibrant and Red! I gave this product to my daughter as soon as it arrived. She is active and doesn't have time to wash her hair on a daily basis! She loved it! She has been using it on and off for about 2 weeks when she needs a quick refresh and doesn't have time to take a shower before she has to go back out for another activity. It was great for her! It was easy to use and took only a few minutes for her hair to look nice and clean. She had volume to her hair after she used it.